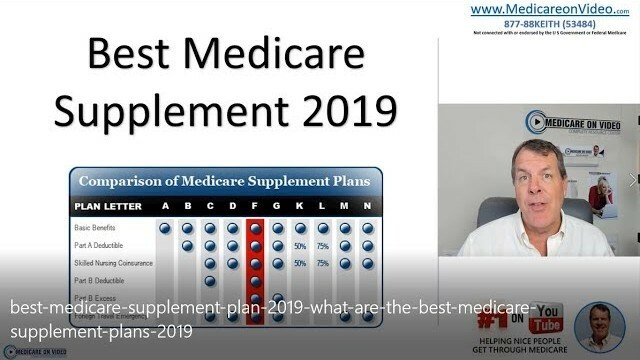 This entry was posted in medicare supplement and tagged #MedicareChanges, #PlanF, 2019 medicare supplement premiums, aetna medicare supplement plans, best medicare plans 2019, Best Medicare Supplement Plan 2019, best medicare supplement plans for 2019, chris westfall, Compare medicare supplement plans, medicare 2019, medicare advantage plans 2019, medicare insurance, Medicare Supplement, medicare supplement plan, medicare supplement plan g 2019, medicare supplement plans, medicare supplemental insurance, medicare2018;, Unitedhealthcare. Bookmark the permalink. What if we are self-employed with no current insurance coverage? If you are turning 65 or starting Part B for the first time then no questions asked. There are people who are on Medicare Part A & B, who under are 65 due to a disability and most of these people do not realize they need a supplement for whatever reason. One of these people is a good friend of mine and now just signed up a Humana Advantage plan because it’s only $25.00 a month with her scripts included. Now, she does have some health issues so maybe she would have not been able to pass the underwriting for Medigap plan? But I am just worried that her maximum out of pocket is $6,700.00 dollars and I always think worst case scenario and would not want her to ever have to deal with that. If she goes to the hospital,in which she was been admitted a couple times 2 years she will need to pay $290.00 a day for like 3 days? And then MA picks up the cost? I have to look into this more for her! And you do a great job explaining all of this Keith. Thank you! I just need to find out if my friend should try to go through underwriting. Keith, I currently have Plan F. If I switch to Plan G, do I have to go thru medical underwriting? Most likely. Most people only get full federal protection once when you start Plan B and choose a plan within the first 6 months. That is your personal “open enrollment” period for a must issue policy. Note that some states offer additional protection beyond federal rules. There is no doubt Plan F premiums will go up at a faster rate after 2020. The pool of insured is locked in with no new members. The plan population will be getting older and sicker. The insurance companies will be paying more claims. Of course they will raise rates. It will not be as bad as you seem to think. Having a high deductible is what makes insurance very predictable. It makes good shoppers out of the policyholders. Do you think that F-HD will be going up drastically here in Florida after 2020? I do not think that will be the case. The best part is since the premium starts so low – even if they got a 10% increase it’s not that much! Hi Kathryn! You can go back to a supplement if you are still within your first year of Medicare Advantage. If it’s been more than a year then you would need to go through underwriting and be approved. Give me a call- I’d be happy to help. I am turning 65 in July 2019 and getting overwhelmed about what to choose. If I take plan n, do i pay part b premium of $134 and $100+ (plan n) totaling medical insurance $234+ plus copays; also have to buy part d? How much do average retirees pay in in total for medicare and medicare supplement? Hi Rosie! That is about right. The drug plan would be about $20 so your total would be around $250. Give me a call a couple of months ahead of time and I’ll make sure you get the best coverage for the lowest cost. But the drugs may cost you an arm and a leg depending on the drugs you need. If you have a Medicare advantage plan with 3750 out of pocket and $40 monthly premium with part D, should you leave? I just love your videos! Very helpful! !